I happened to be in the right place at the right time (after sifting through last minute weather forecasts) to experience the total eclipse at nearly the maximum length: 2 minutes and 33 seconds. 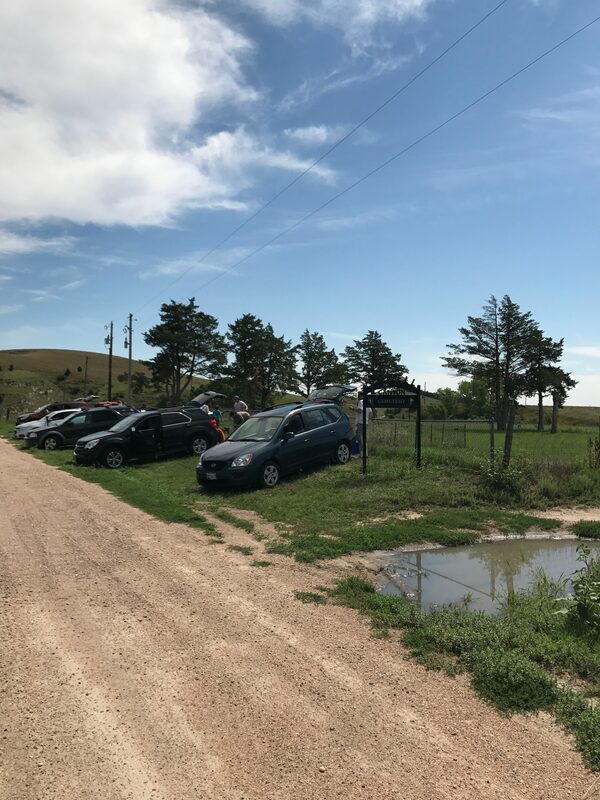 In our case, we ended up outside an old graveyard in the rolling sandhills outside Arnold, Nebraska. A perfect place, perfect time, perfect company of family and strangers becoming friends bound together by extraordinary phenomona. Perfect location: First, it was the clouds, and finding a place within driving distance that would be mostly clear of clouds around 11:30am (start of the eclipse) and especially 12:54pm (total eclipse). The Clear Outside app got me there (though I’m not sure how often the data is updated). 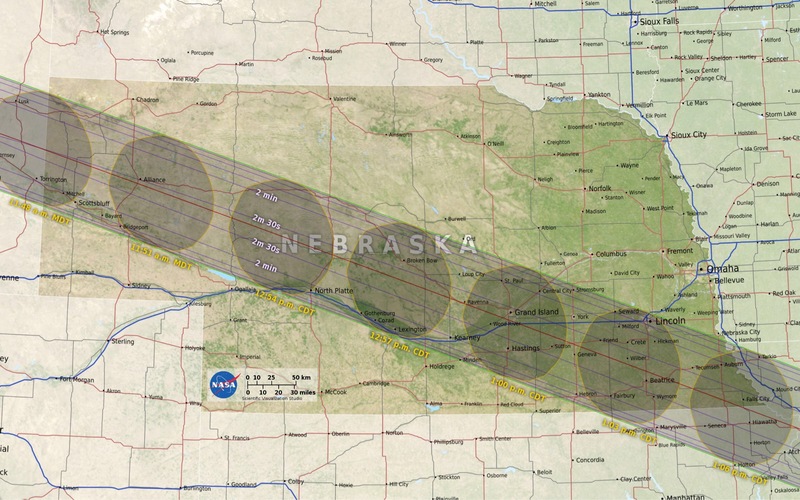 And the second factor: finding a location connected to nature that would be inspiring to be in and experience the eclipse. 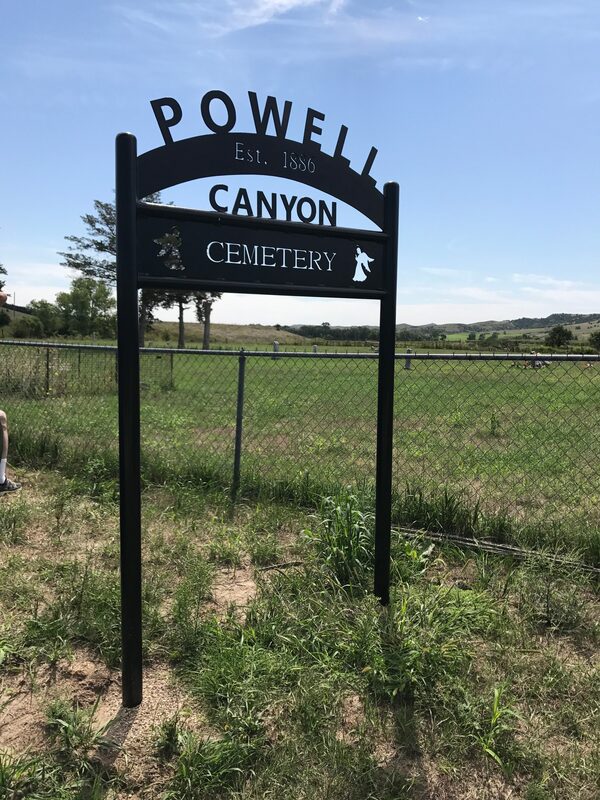 The old Powell Canyon Cemetery, in the rolling sandhills outside Arnold Nebraska ended up being an amazing place. 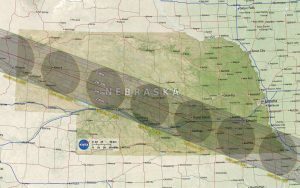 Perfect company: The total eclipse, such an extraordinary event, is a social phenomenon as well. 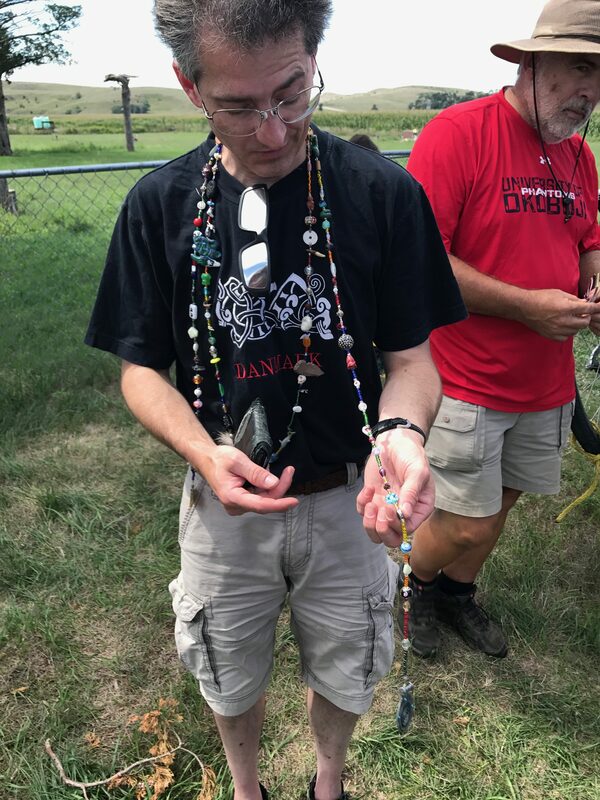 I feel so fortunate to be there with family — my parents and son — and with 20 or so strangers who felt like relatives drawn into relation by the sun and moon. A friendly retired couple from Colorado in the car next us, a naturalist (or more precisely “naturalistic pagan”) couple with their sons, filled with tips about observing and experiencing the eclipse, photographers, and more. First contact: that initial moment, when I look up with eclipse classes and see — a small corner on the upper right seems to be missing…seems to be…yes, it is! 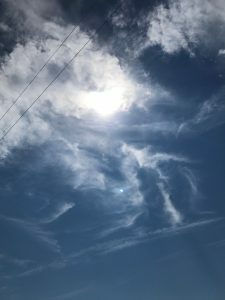 The presence of the moon: I wasn’t anticipating this, but was struck by what a difference it is to experience the moon between the sun and me, rather than just reflecting the sun. The moon is so tangible, and it has a presence that seems to be hovering just in front of me. As it moves into view, I feel like I can reach out and touch the moon. It is there! In front of me, moving between me and the sun. The moon has a presence that I’ve never felt before. Crescent projection from trees. Our naturalist friend pointed out that in addition to the pinhole projection technique so many people used colanders for, even the spaces between the leaves of trees can project the crescent image of the eclipse. He laid a white towel on the ground, and as the eclipse progressed the crescents appeared, even more obvious when you drag the towel to reduce distraction of the surface of the towel. A strange light. As the eclipse got closer to totality, I noticed the strange quality of light around me. It seemed brownish, and surreal, the way light is sometimes after a big storm where the setting sun on the bare horizon casts a tint to the world. Do the shadows seem crisper? I look at a changed world, and am standing in a new world. Astonishing sight and I shout out: “Oooooohhh!” I hadn’t anticipated what my eyes saw next. Something so unusual…that powerful sun, now totally blocked and black, with radiating corona. Dark black and radiating, and with the near presence I felt of the moon — now suddenly the sun also with a near presence. Astounding! 360 degree sunset. The landscape during the total section of the eclipse wasn’t totally dark — it was like deep twilight, I could still navigate around me. But what struck me there in the rolling sandhills of Nebraska was what seemed to be a sunset on the horizons 360 degrees around me. There was one section or darker clouds, but otherwise, all the hills I looked at had the glow on the horizon that I usually see just after the sun goes down. “360 degree sunset!” I shout out. Bright beam returns. At the end of totality, suddenly, a burst of bright light from the corner of the sun. 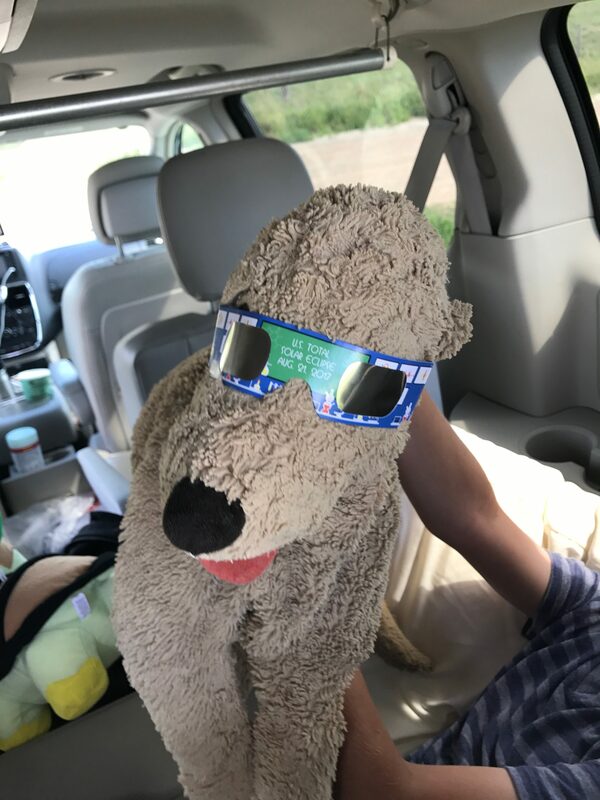 Growing growing…time to put on the eclipse glasses again. And there we were. 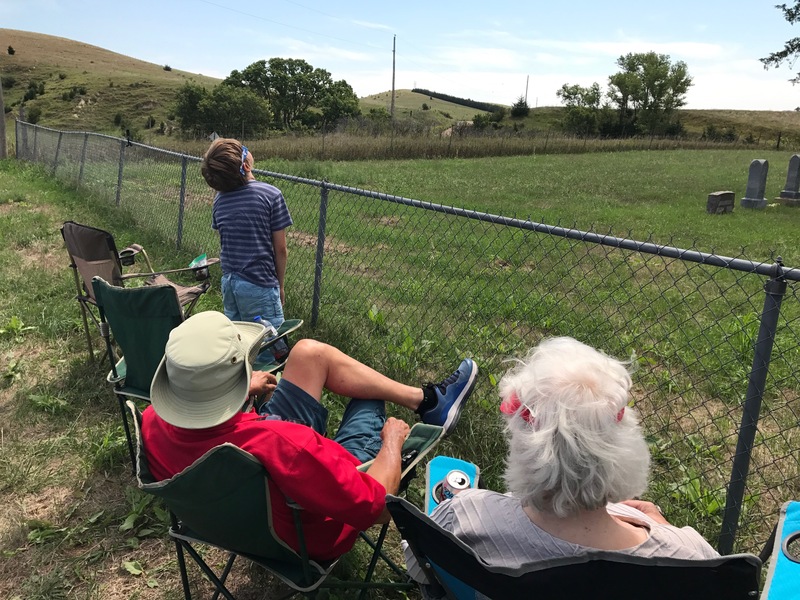 Sunlight returned, and although it would remain a partial eclipse for the next hour or so, we all basked a while in the experience and gradually started returning to our homes over the rolling sandhills. Goodbyes, exchanges of email addresses, and off we go, after an experience of a lifetime. What a great place to experience the eclipse! I was there at Powell Cemetary, it was awesome! Breathless. Words seem so pointless – those who saw it know what I mean, and I know that it can’t be expressed in words, photos or video. The eclipse was stunning – a sudden and ineffable realization of the deep connection to the rest of our Universe that is always present but so rarely felt like this. At least I know that many others feel as verbally powerless and and as speechless as I do. Clouds made us abandon our original plan, and we drove farther west to get a better weather prediction. It paid off. 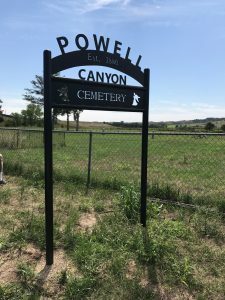 Even though we were in nowheresville Nebraska, we saw groups forming in many places, and we stopped and prepared for the impending lunar shadow at Powell Cemetery. Seeing the dark shadow racing towards us brought a strange sense of dread, and the wonder and joy of the eclipse itself was overwhelming. Perhaps the oddestphenomenon was the change in the size of the Sun/Moon. The Sun or Moon are quite small in the sky – about the size of a dime that is six feet away from you (or a pea at arm’s length). Go ahead and put a dime or penny 6 feet away, and see how small that is. That’s tiny! So tiny that I wasn’t sure I’d be able to clearly see the features of the corona without using the telescope. I was wrong. Very, very wrong. Though the Sun did indeed appear small during the partial eclipse, when totality hit, the Sun/Moon seemed to grow in the sky, right as I looked at it. It was weird. I knew, intellectually, that it couldn’t really be doing that, but there it was, right in front of my face, growing until it was a huge black orb looming over us, with a timeless gaze that could be felt physically pushing down on me. I felt the odd urge to hold my hands up to push it away! The dazzlingly white corona jumped out, and the triangular shapes were obvious. (The corona is a different shape for every eclipse. Some past eclipse coronas had dual wings, or other shapes. This one had three prominent triangles – they are permanently burned into my mind). The faint feelings of dread and claustrophobia mixed with the elation, joy and awe at the stunning beauty to leave me staggering. Both the temperature drop and the strange wind effects added to the feeling of being transported away from normality. The darkness was eerie – though we didn’t see any birds or other wildlife around to be affected. Then, it ended. The world we know returned, after our visit to an alien planet.